Kenny told the Dáil during the Order of Business that it was his view and that of government that there should be an inquiry into the banking crisis. TAOISEACH ENDA KENNY has said that the government hopes that an inquiry into the banking crisis will be the first to be undertaken when the new Oireachtas Inquiries legislation is commenced. Motions are to be proposed in the Dáil and Seanad this week to commence the Oireachtas Inquiries, Privileges and Procedures Act 2013 which will allow the Oireachtas to undertake inquiries. He said that such an inquiry should be “modular in nature” and that it should focus on three areas: the bank guarantee and the events leading up to it; the role of the banks and their auditors; and the role of State institutions. Once the legislation is commenced the matter will go before the Oireachtas Committee on Procedures and Privileges to determine who undertakes an inquiry. There has been much debate about whether the Public Accounts Committee or the Oireachtas Finance Committee should undertake the probe but Kenny said he was “not going to say the committee or the composition”. Kenny said that the conduct of an inquiry will be entirely a matter for the Oireachtas and said that the government is determined to ensure it is “adequately resourced”. He said it was his “earnest hope” that the responsibilities conferred on TDs who participate in such an inquiry will be “exercised prudently and judiciously, having regard to pending criminal trials”. “The objective should be to determine, without fear or favour, and with dispassion and integrity, all of the facts that led to the collapse of the banking sector,” Kenny added. 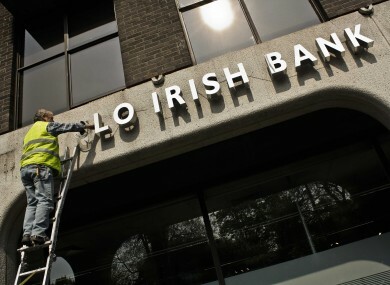 The government has previously indicated that it hopes to commence a banking inquiry before the end of this year to examine the controversial decision to issue a State guarantee of the banking sector of over €400 billion in September 2008. Email “Taoiseach reveals details of forthcoming banking inquiry”. Feedback on “Taoiseach reveals details of forthcoming banking inquiry”.